I think this message from KHJ really should be recorded here^^ Reading it we could see Hyun Joong as matured a lot. 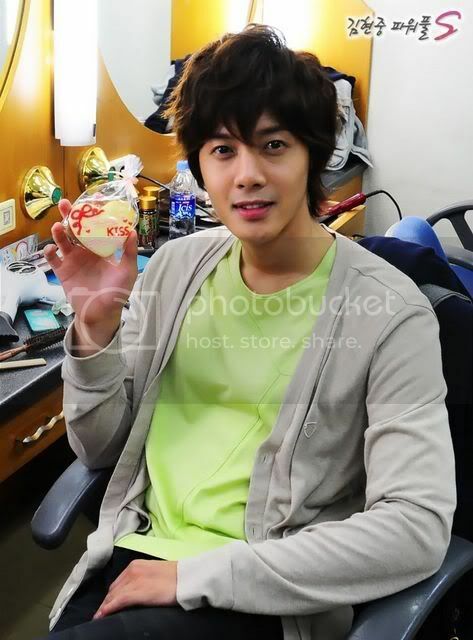 It seems he is getting stronger and wiser, having gone through many changes and experiences.Thank you to bb at lovekimhyunjoong.com for the English trans !! there's much that I want to say. Working very hard... persisting all the way till the end. I came upon the line (in the script) "Other people will be happy if I'm happy"
Am I too mysterious? Ke! But more importantly, I hope he doesn't lose his innocence, integrity and true self as he gains more glory, success and money. Because I truly feel KHJ is on his way to become super huge (even bigger than he is now) under KeyEast management. While I wish him all the success in the world, I also regret SS501's KHJ. The one who dormed with his hyungs and hung out and played together with them like a little kid. Also...he mentionned several times before about being lonely and how he may end up a lonely old man. Makes me so sad. He's surrounded by all this entourage and thousands of chanting fans but at the end of the day he's all alone. I wish for him to find that special someone soon. Dear Myoce, are you in Indonesia? If so, my prayers are with you.